Kelly Rowland, George Clooney, Matthew McConaughey, and more will also participate. Bun B has recruited Beyoncé, Oprah, Jamie Foxx, Kelly Rowland, George Clooney, Matthew McConaughey, and more for his upcoming Hurricane Harvey relief telethon, Hollywood Reporter points out. "Hand in Hand: A Benefit for Hurricane Harvey Relief,” which Bun B announced last week, will take place on September 12 at 8 p.m. EST and air on ABC, CBS, NBC. 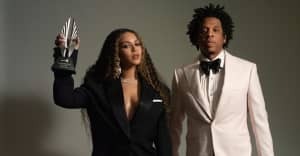 Beyoncé has already started raising relief funds for those displaced by Harvey through her BeyGood foundation. Other artists like Drake have also pledged their resources and support. Get more information on "Hand in Hand: A Benefit for Hurricane Harvey Relief" here.